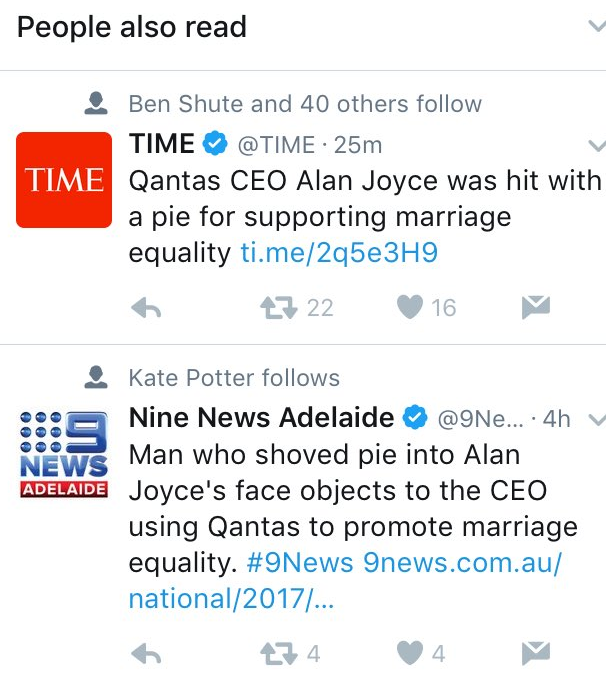 It's been about a year since Twitter rolled out their algorithm-fuelled timeline. 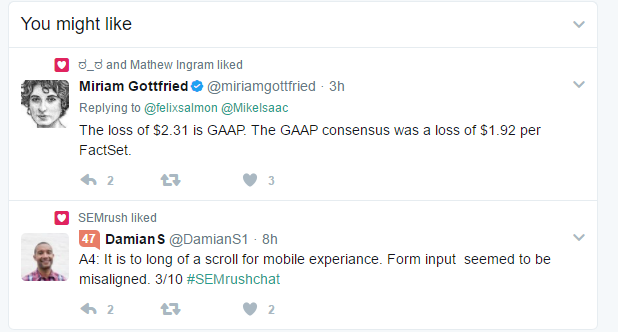 Well, partially algorithm-fuelled -Twitter highlights the top tweets you missed, then mixes some other recommendations in, but for the most part, it still displays tweets from accounts you follow in reverse chronological order, which is important, given the platform's focus on real-time content. But whether you've noticed the change or not, Twitter's algorithm has been evolving, and it has helped improve engagement. 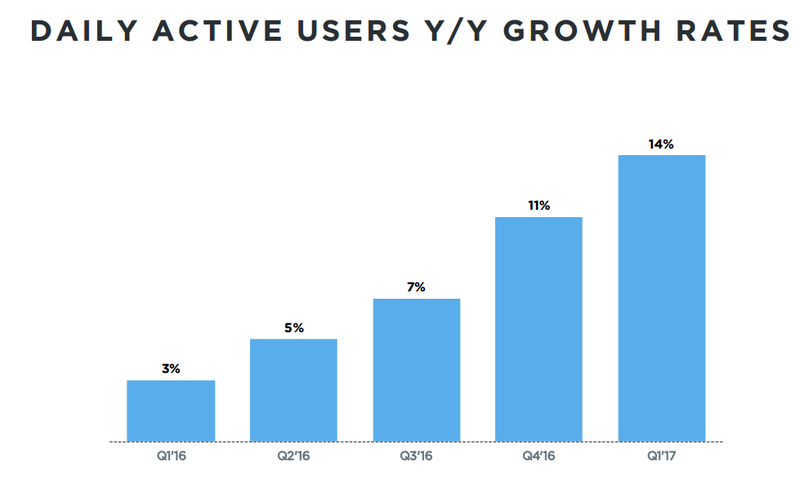 Looking at Twitter's performance from Q1 2016 to Q1 2017, there are clear signs of marked improvement, both in terms of new users (+18m) and daily actives. Those results can't be entirely linked to the introduction of the algorithm alone, but Twitter says it has played a big part. So how does Twitter decide which tweets to highlight and add into your streams, and how do they do it? Over on the Twitter Engineering blog, the platform has published a new outline of how they're using machine learning to improve the algorithm and show each user more relevant tweets. I don't follow this user, but I do follow Mathew Ingram. The same principle applies to these 'You might like...' recommendations. 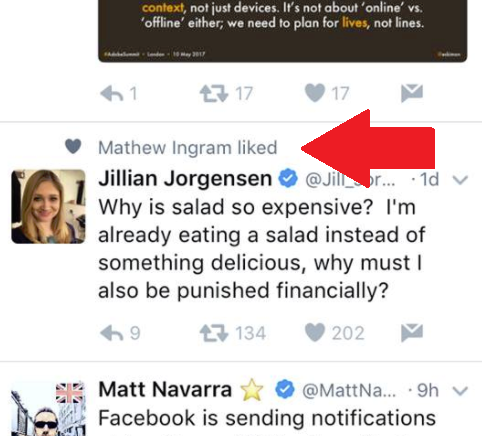 These are the kinds of more subtle additions Twitter's using to boost engagement, outside of the obvious 'In case you missed it...' box. "Right after gathering all Tweets [based on who you follow], each is scored by a relevance model. The model's score predicts how interesting and engaging a Tweet would be specifically to you. A set of highest-scoring Tweets is then shown at the top of your timeline, with the remainder shown directly below." This is the 'In case you missed it...' section, but that's not always shown. "Depending on the number of candidate Tweets we have available for you and the amount of time since your last visit, we may choose to also show you a dedicated "In case you missed it" module. This modules meant to contain only a small handful of the very most relevant Tweets ordered by their relevance score, whereas the ranked timeline contains relevant Tweets ordered by time. The intent is to let you see the best Tweets at a glance first before delving into the lengthier time-ordered sections." Hence, you're seeing different tweets in your timeline aside from just the people you follow, and Twitter's constantly experimenting with new approaches to make your timeline more engaging. For example, this 'People also read...' recommendation recently came up in my feed after clicking through on a tweeted link about the same subject. Twitter saw a heap of blowback when they initially announced that they were switching to an algorithm, which was seen as fundamentally altering what Twitter is. As such, they've been working on less intrusive, more intuitive ways to add in more recommendations to keep users engaged. And as noted, it's working. Even Mark Cuban recently started buying up Twitter stock because, according to Cuban, they finally got their act together with artificial intelligence." So how does Twitter rank the tweets most relevant to you? Our list of considered features and their varied interactions keeps growing, informing our models of ever more nuanced behavior patterns." It's a more simplistic process than Facebook uses, but essentially it's the same criteria - who you regularly engage with, your interest in the type of tweet, how recently it was posted and overall engagement. This means it's now more important than ever to be generating engagement with your tweets. At first, when Twitter's algorithm timeline was released, it seemed to be contained to that 'In case you missed it...' box, but as you can see, there's now more and more opportunity for exposure through these highlighted elements. It's not quite as influential as Facebook's News Feed algorithm, which has decimated reach for many Pages, but still, Twitter's algorithm provides increased opportunities for exposure, and will facilitate even more in future as Twitter continues to refine their system. As Twitter continues to evolve their machine learning models to better understand user responses and behavior, there'll be more tests and experiments, more ways in which tweets can be uncovered and highlighted to relevant users. "All the hard work of building out and adjusting a complete deep learning platform has begun to pay off. On the task of timeline ranking, deep learning models achieved significant gains in offline model accuracy evaluations. These gains persisted consistently throughout the regular model lifecycle, including the introduction of new features and extending the model to predicting new types of engagement. This proved to us that the deep learning approach is stable, and that it generalizes well. More importantly, online experiments have also shown significant increases in metrics such as Tweet engagement, and time spent on the platform. And as we've shared before during our previous earnings, the updated timeline has in part driven increases in both audience and engagement on Twitter." As we've noted before, whether you like them or not, algorithms work, and while they produce results, social platforms will continue to use them. For Twitter in particular, which has struggled with declining engagement and stagnant growth, algorithms have delivered in their time of need, which will only increase their trust in, and reliance upon them. That doesn't mean that your whole tweet timeline is going to change to an entirely algorithm-defined model, as that would go against the real-time nature of tweets. But it does mean you're going to see more relevant content highlighted to you in your feed, likely in subtle ways you don't really notice, but that might just get you clicking. This is also a crucial element of consideration for marketers looking to get the most out of Twitter. As the influence of algorithms grows, you need to understand the opportunities - and potential limitations - of this in order to maximize your tweet performance. 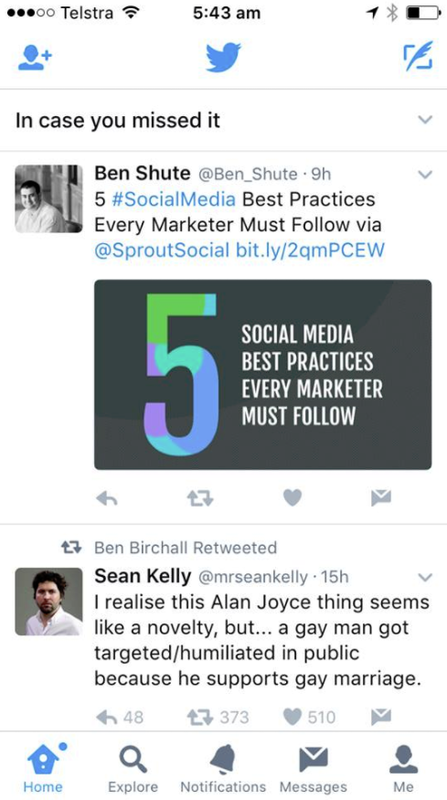 Twitter may not be the biggest driver of referral traffic, but if they can add in more user-informed elements and recommend relevant content, it could become more influential, particularly in specific niche groups.